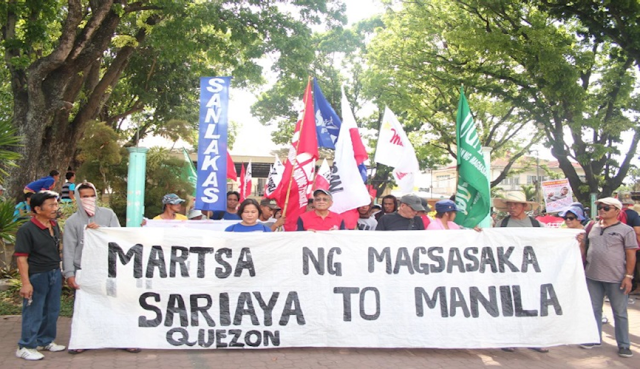 The "Martsa ng Magsasaka", a 135-kilometer march by coco farmers from Sariaya, Quezon province to Manila, enters its eight day with a picket before the Supreme Court in Padre Faura today to seek the reversal of an earlier decision in 2011, which granted 20 percent of the coco levy fund to Marcos crony and presidential uncle Eduardo "Danding" cojuangco. 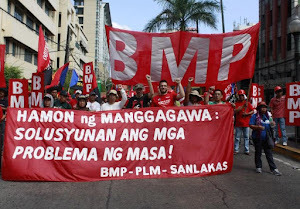 The coco levy refers to the fund collected from coconut farmers, primarily from the Bondoc peninsula, in the 1970s and 1980s by the Marcos regime. 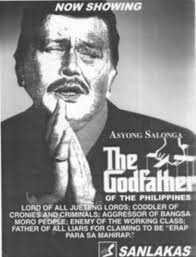 It was used by Cojuangco to secure control of the San Miguel Corporation (SMC), which earned him the monicker "Pac Man" from the anti-dictatorship mosquito press. 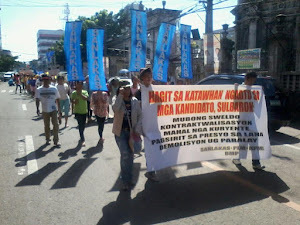 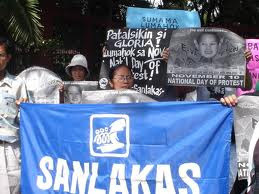 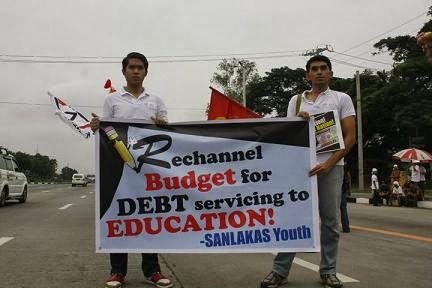 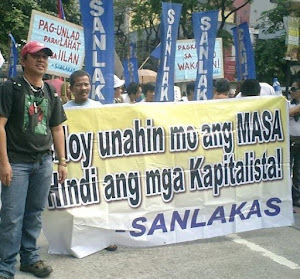 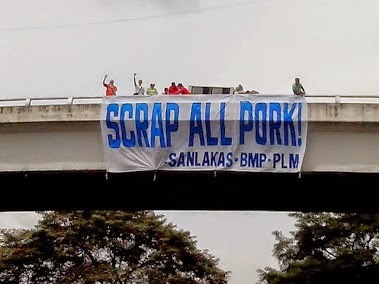 The march was joined in by a contingent from militant partylist Sanlakas, which appealed for a "finality on the gross injustice committed to generations of small coconut farmers". 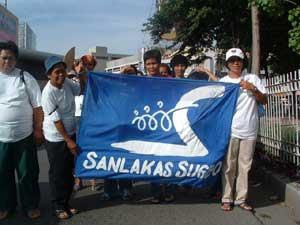 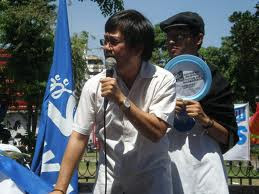 Oyette Zacate, Sanlakas 4th nominee, said, "More than four decades of injustice is enough. 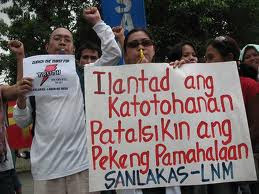 The coco levy was extracted forcibly and under duress from our lowly magniniyog. 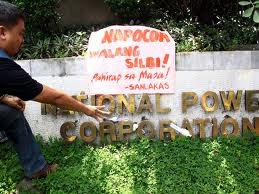 While the presidential uncle may claim that the fund grew as it was used to buy shares from a blue chip company, he has no right to claim the fruits of his speculative gamble since it is a product of the hardwork and sacrifice of thousands of coco farmers, not by the Cojuangco who merely stole it from them". 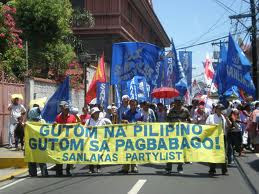 She added, "This is but pure and absolute swindle by a crony. 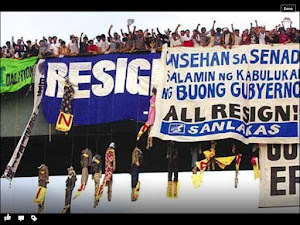 We call on the legal luminaries of the judiciary, not to allow Danding to render another kind of butchery of the farmers' welfare - not with bulletes and armed force as in the case of the Mendiola, Lupao, Luisita, and Kidapawan massacres, but through an unjust and unreasonable court decision". 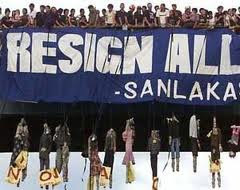 Sanlakas is also demanding the full and direct control by the coco farmers of the 31 percent of coco levy in SMC shares that was granted by the high court to the Republic of the Philippines in trust for al the coconut farmers. 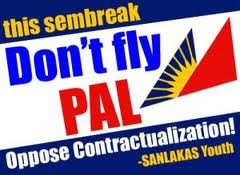 It was reduced to 24 percent in 2011, amounting to more than P70 billion, and remitted to the national treasury in October 2012. 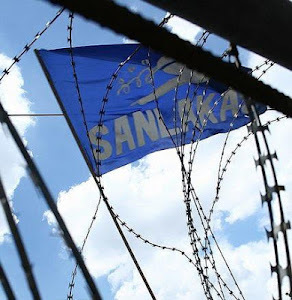 "We ask the court to revisit its definition of the term 'ownership' in its earlier decision. 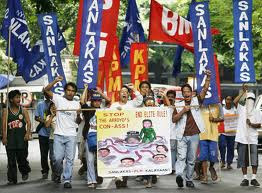 Generally, an owner enjoys the power to decide on a thing that he or she owns. 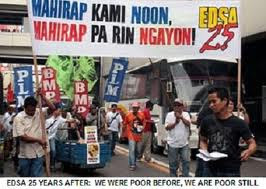 But in the decision with regard the coco levy fund, a portion of the fund was deemed owned by the coconut farmers, but can decide on the fund only through the Philippine government who has sole decision making powers over the said fund", Zacate clarified. 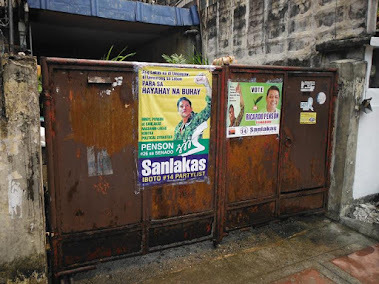 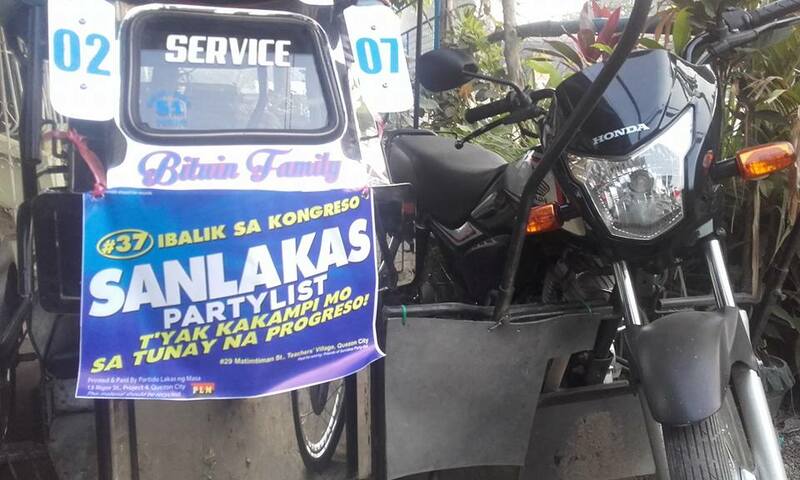 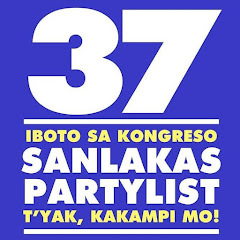 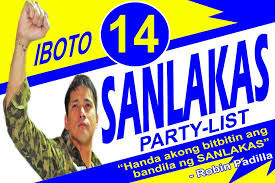 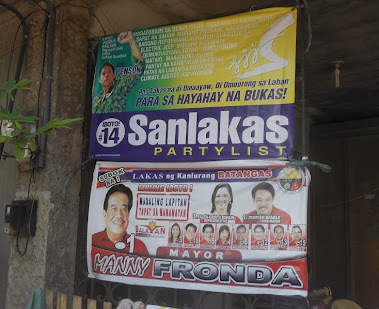 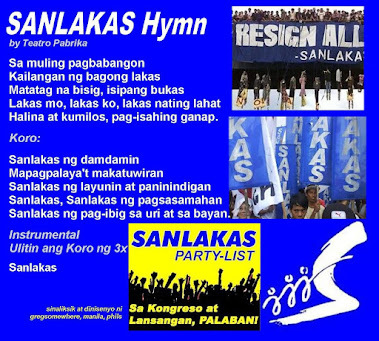 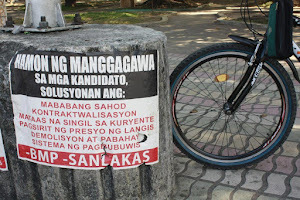 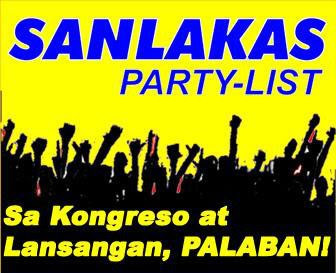 The multisectoral coalition Sanlakas is running in the coming partylist elections with the demand for "land reform and social services for the farmers sector" in its platform. 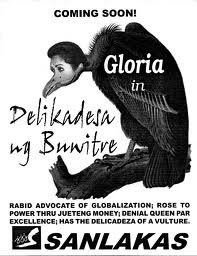 Zacate concluded, "The Philippine government must reverse its abandonment of local agriculture as it pursues the policy of import liberalization for an export-oriented, import-dependent service economy. 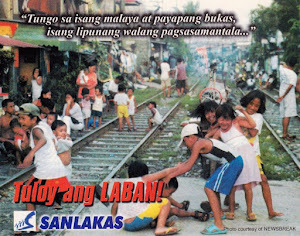 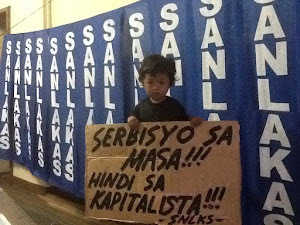 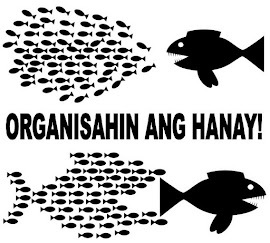 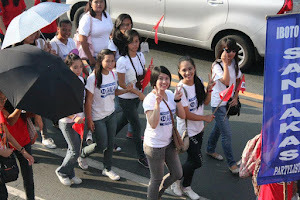 Our lack of food security and sovereignty is a threat to the survival of the Filipino people".